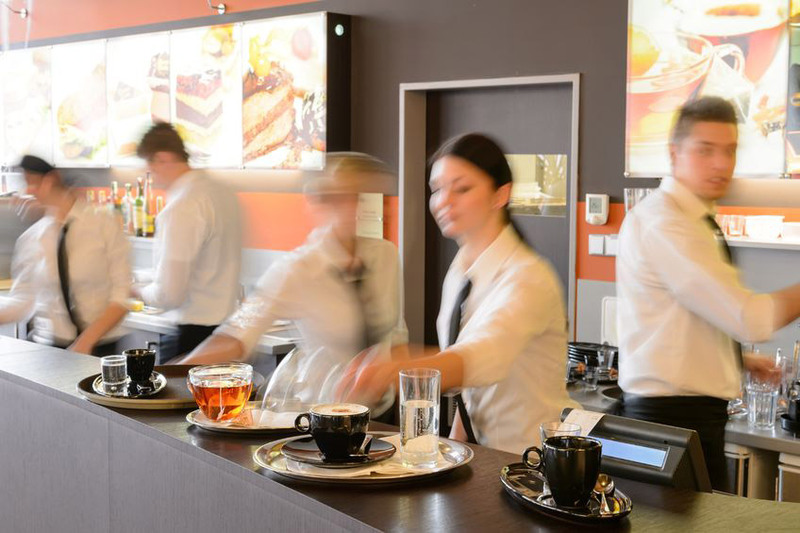 An insidious threat is putting many retail and hospitality POS systems at risk. This fatal flaw in the installation of these systems takes many of them down each day across the country, creating serious problems for countless stores and restaurants. The threat doesn’t come from viruses or cyber criminals. Instead, it comes from the wall socket. Many resellers today still do not acknowledge or accept the extent of the vulnerability of POS systems caused by poor power quality. Frustrated by “no problem found” error codes and unexplained system crashes, not to mention upset client calls, they opt instead to replace different component parts of the system in the hopes the problem will stop. When the problem continues, more service calls are made and more parts switched out. Perhaps a rudimentary surge protection device is eventually tried, but that amounts to little more than a Band-Aid® and doesn’t solve the problem either. Ultimately, the system develops a reputation as unstable. For an issue that has such a significant impact on the overall functionality and uptime of the POS system – and the reputation of the reseller that specifies and installs it – the cautionary tale of “dirty power” seems to resonate most with those longstanding firms that have learned the lesson the hard way. Those that have, including many that service the largest, national-brand accounts, make including proper power conditioning in each POS package they sell a mandate, not an option. Khashan explains that resellers should cover themselves on every single installation, at every wall socket. Through the use of electronic power conditioning, such thorough coverage suddenly becomes cost-effective in helping to ensure that systems don’t go down. With today’s reliance on technology to conduct most over-the-counter sales, any hiccup in the POS chain can bring a retail operation to its knees and stop cash flow in its tracks. Not only do such interruptions immediately affect the bottom line, they cause instant customer dissatisfaction that jeopardizes repeat business. At the same time, it forever tarnishes the reputation of the reseller who installed the system. The VAR gets the blame first. At this point, an inexperienced reseller might throw new hardware at the problem, replacing card readers, registers (ECRs), routers, processors, etc. in a frantic effort to cut the losses − all at great expense, time, trouble and embarrassment to the reseller. Even if a service tech realizes that the actual source of the problem stems from poor AC supply from the wall socket, many make the fatal mistake of assuming that a power strip or surge protector from a big box hardware store will do the trick. But surge protectors only work against large voltage spikes, and only one time, at that. Nor do they block the tiny dropouts or frequency aberrations that occur within any retail environment. Such Band-Aid® efforts are often in vain. Located in Houston, TX, Smart Power Systems is an innovator and manufacturer of hi-performance power quality and UPS products and a recent recipient of a Retail Service Provider’s Association (RSPA) Vendor Award of Excellence. Designed specifically for mission critical markets, the company’s Smart CordÔ device compresses electronic power conditioning functionality into a 17-ounce package the size of a man’s fist − making it particularly fitting for space-constrained POS applications. Today’s electronic power conditioning devices differ greatly from what technicians have traditionally relied on to control AC power. Common surge protectors can protect against catastrophic high-voltage spikes. However, they are not “intelligent” enough to handle the relatively small voltages that disrupt POS devices. At the other end of the spectrum, isolation transformers (ITs) can suppress power surges. However, they are prohibitively expensive, large, heavy, and limited in their functionality; greatly reducing their use within the tight quarters routinely encountered in POS installations. Some techs are also under the mistaken belief that a low cost uninterruptable power supply (UPS) will solve their problems. However, consumer grade UPSs are nothing more than a battery back-up combined with a rudimentary surge suppressor. By themselves, UPSs only help when power is completely lost—such as when lightening strikes a transformer—but that accounts for only 1-2% of failures. The majority of UPS units does not perform electronic power conditioning and therefore do not address the cause of 98-99% of POS problems. On the other hand, UPSs that include electronic power conditioning are better equipped to handle the smaller variations that cause the overwhelming majority of POS issues. Electronic power conditioning provides computer grade power − a clean, filtered power supply − at a fraction of the cost and size of bulky isolation transformers, and with significantly greater functionality. The electronic power conditioning (TBF™) technology, pioneered by SmartPower Systems, constantly monitors the line power and makes corrections. If AC voltage goes a little too high for more than a few cycles − powerful enough to blow out the motherboard of an ECR − then it cuts the power to the protected device. TBF circuitry also addresses a particularly perplexing problem for many POS installations: that of ground loop current which can play havoc with microprocessors embedded within POS devices. Ultimately, it’s the system integrator who reaps many of the benefits through the understanding of the need for electronic power conditioning. Such success stories are paving the way for wider acceptance of electronic power conditioning as a necessity of doing business, for both system integrators and their customers. Smart Power Systems is the patent holder and manufacturer of the Transformer-Based Filter (TBF™) technology. For 35 years, we have developed and sold power protection and conditioning products including Uninterruptible Power Supply (UPS) to dealers of office automation equipment, point-of-sale and security systems, digital signage, AV components, gaming machines, ATM’s and electronic scoreboards. For more information on electronic power conditioning, contact SmartPower Systems, Inc. at 1760 Stebbins Drive; Houston, TX 77043; (713) 464-8000, fax: (713) 984-0841; or www.smartpowersystems.com. Revel’s User Conference 2017 – Revelry!